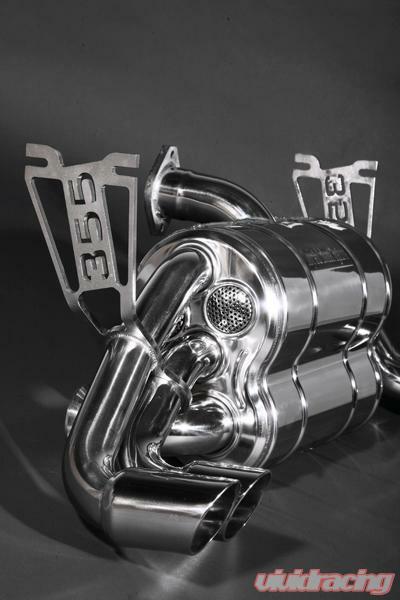 Made of T309 stainless steel this system fixes the known problems with the original F355 OEM system; with the original bypass valve in the open position, a reverse flow through the silencer causes overheating and damage to the headers on. Upgrading to the Capristo exhaust not only gives you more power and a better sounding car; you also get the peace of mind that you will be preventing damage from occurring to your headers. Once the exhaust gas valve is open on the OEM system, the gas doesnt flow through the catalytic converter but mainly through the bypass valve. The exhaust gases flow off the exit and generate a vacuum. Thus the hot exhaust gases in the muffler are pushed backwards through the main cat which heats up. Then the gases are guided though the bypass and recirculated by the exhaust gas valve into the muffler again. When the exhaust gas valve is open, this gas flow is recirculated, ceaselessly generating more and more heat. Capristo is of the opinion that this problem is known to Ferrari. 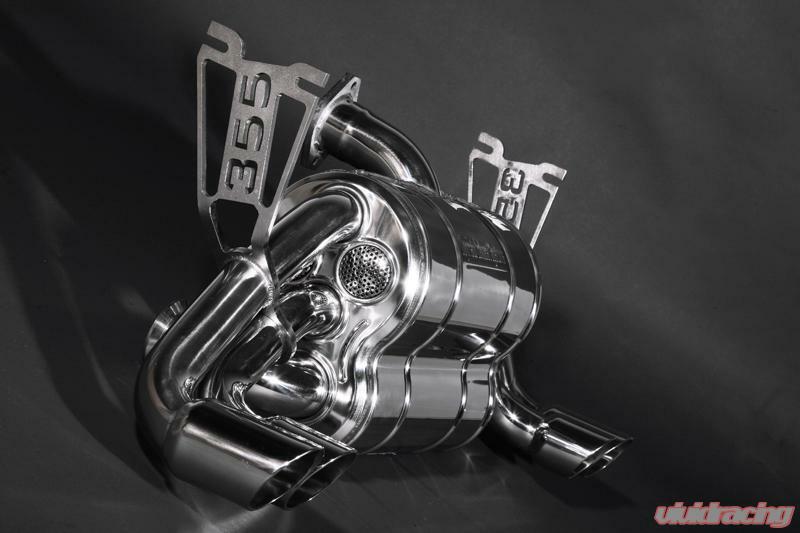 For this reason the F355 was changed since 1996 and the headers were modified exactly in the place where the vacuum is generated. But the problem was not eliminated completely. After some testing it was obvious to Capristo that their theory was right, the bypass causes these problems. One exhaust gas valve is not sufficient. 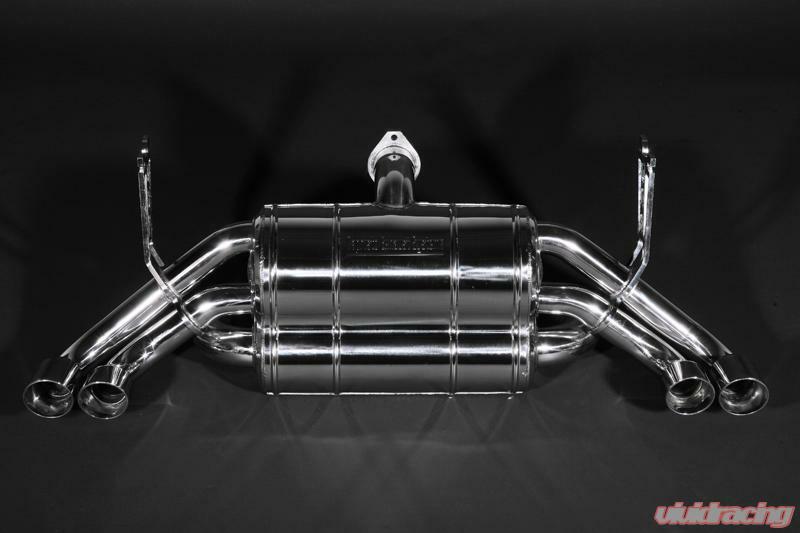 Capristo exhaust systems are designed so the exhaust tubes from the main catalytic converter lead to the outer end pipes, and those from the bypass to the inner end pipes. These tubes do not lead to each other. Consequently it is not possible for the hot exhaust gases to be recirculated. Instead cold air is drawn through the outer end pipe through the catalytic converter and the bypass valve. Once cold air is mixed up with hot exhaust gases, the temperature of the exhaust gases decreases. As with all valved systems, the Capristo remote controller can be used to control the valves status. Giving you control of how your car sounds with a click of a button. 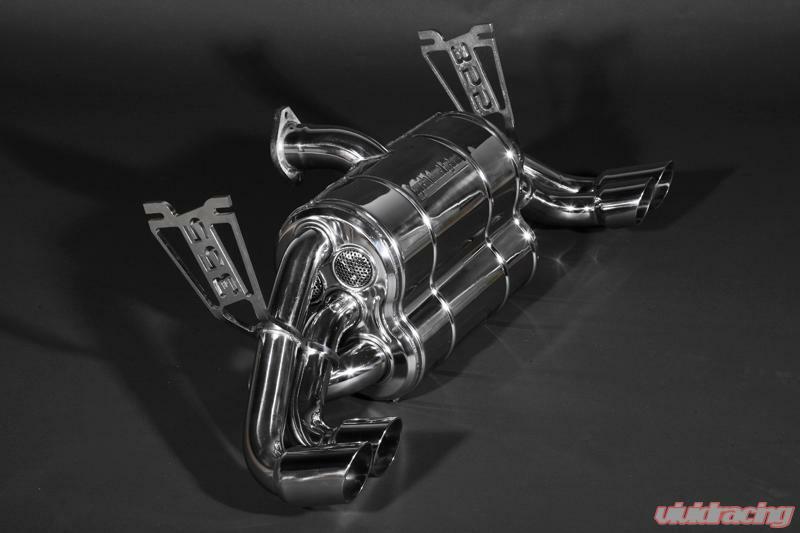 Capristo is the pioneer and leader in designing and manufacturing high performance exhaust technologies, Capristo Exhausts are renowned worldwide for their quality, design and enhanced sound. Capristo began two decades ago as a manufacturer of exhaust systems for Ferrari cars and have evolved into the premier manufacturer of today's high performance vehicles for the street and racing. Capristo is committed to providing world-class exhaust products which surpass the expectations of its customers, and its German facility is a complete with a state-of-the art test and development center where Capristo is continually improving its manufacturing efficiency and standards. 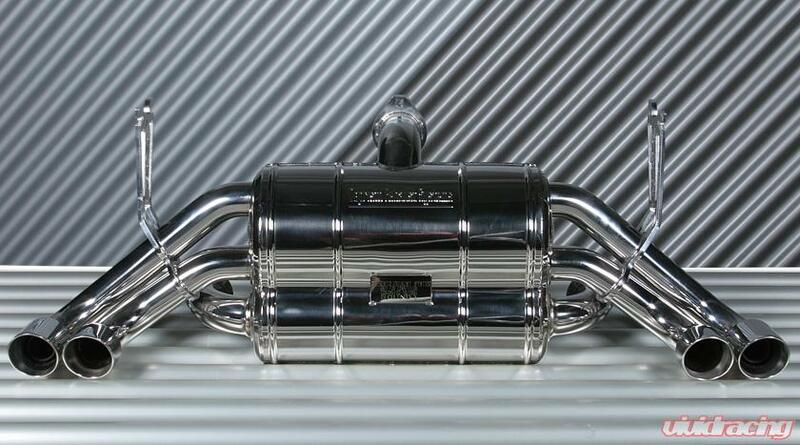 Capristo has pioneered a variety of improvements in the design of performance exhaust systems. Antonio Capristo, founder and CEO of Capristo Exhausts, currently holds several International patents for innovative exhaust system technologies. Every Capristo system is made from 309 grade stainless steel designed for very high temperature applications, employing mandrel-bent tubing, all hand-welded construction, and each and every system is designed with the utmost care and professionalism. 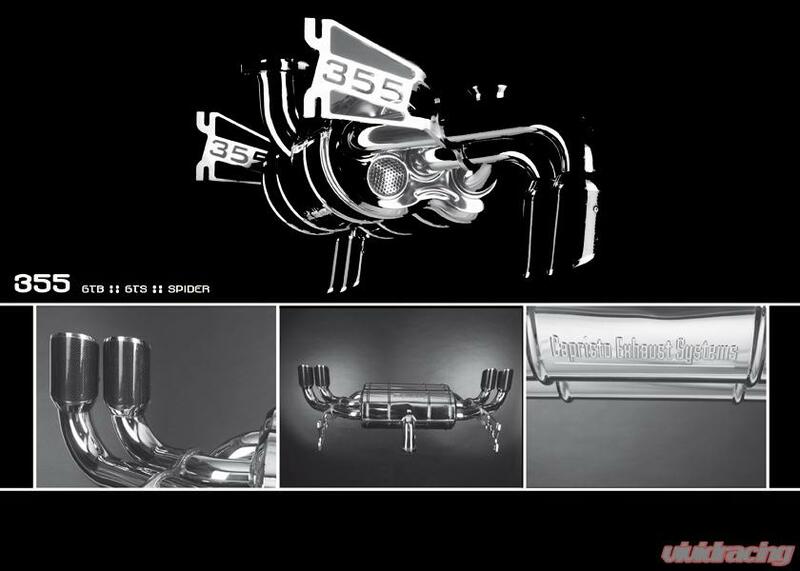 The performance and sound advantages of a Capristo are widely recognized by Sports and Exotic car owners. Capristo is at the forefront of the movement toward responsible racing with our full line of patented, award and race-winning racing mufflers that not only maintain enhance the sound of sports cars, but also add power and torque.